Hemoglobin is an iron-containing protein in red blood cells that transports oxygen to tissues throughout the body. The abundance, stability, and oxygen-carrying properties of hemoglobin can be altered by genetic mutations. More than 1000 hemoglobin disorders are known; hemoglobinopathies (e.g., sickle cell disease) and thalassemias are some of the most common human genetic diseases worldwide. Written and edited by experts in the field, this collection from Cold Spring Harbor Perspectives in Biology covers all aspects of hemoglobin and its diseases. Contributors examine the structure, expression, and evolution of the globin genes, the assembly of globin subunits into functional forms of hemoglobin, and the numerous variants that result from genetic alterations. The pathophysiological consequences of hemoglobin disorders (e.g., ineffective erythropoiesis and aberrant iron homeostasis), their clinical manifestations, and epidemiological trends are also described. 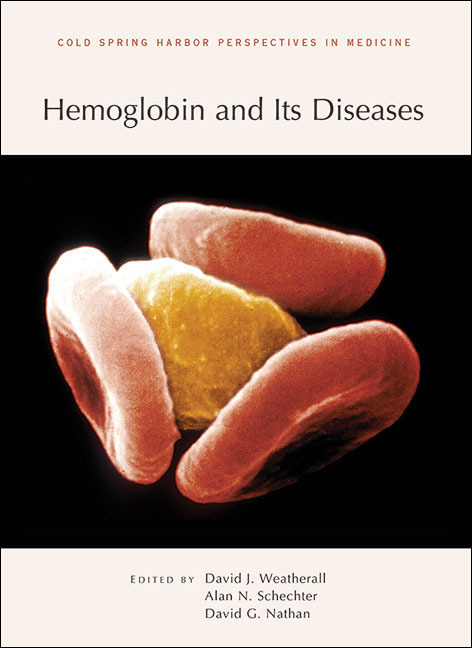 This book includes discussions of management and treatment strategies for hemoglobin disorders, such as transfusions, iron-chelating agents, gene therapy, and stem cell transplantation. It is an indispensable reference for biochemists, geneticists, cell and developmental biologists, physiologists, and all who are interested in reducing the medical burden of these common genetic diseases.